Welcome to ADSR’s new ‘Start to Finish’ Series – indepth video courses that step you through creating the hottest EDM genres in detail, from start to finish. Hosted by lead tutor Echo Sound Works, the first instalment of this unique series steps you through all the ins and outs of creating an Electro House Track using Sylenth. Over 2 hours of step-by-step demonstration and explanation from how to start a track, to how to record drums, write melodies and come up with interesting hooks. 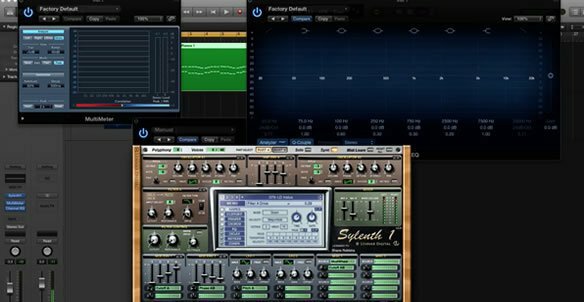 As you progress through 12 videos, you will learn how to make professional sounding Sylenth presets, mix and edit drums and layer sounds and samples. You’ll also get loads of tips and tricks to make unique and effective transitions between sections. This video course is broken up into sections so you can quickly locate the material you want. Introduction to the course. Overview of the all the topics and ideas that will be covered. This video takes you through one method to start your tracks off and position yourself to make a great track. This video will show you in real time how to start creating Electro House tracks by creating a chord progression for the drop. In this section, learn how to create a drum groove from scratch. We demonstrate a tried and true method of getting the right drum section for your tracks, showing you every step of the way. Learn how to make a useful bass patch in Sylenth that you can easily manipulate to fit a bunch of other EDM genres. Learn how to make your bass section more interesting and unique by layering and blending different genres together. Module 2: Modulation, Mixing, Mastering and More! 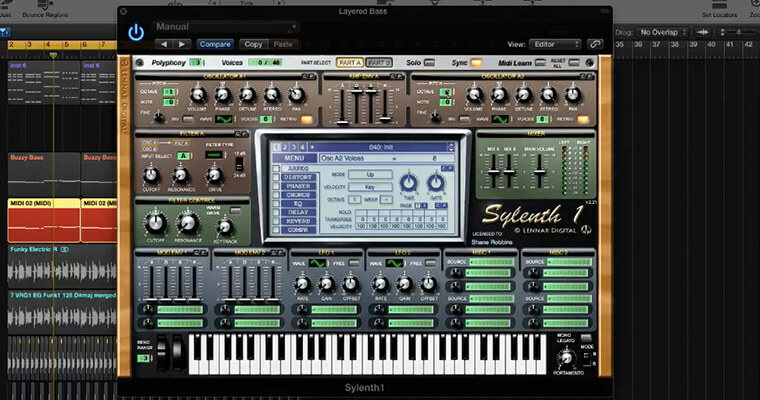 The Sylenth Masterclass is broken up into 12 parts or videos. This allows for easy access to specific topics and quick navigation. The most important part of Sylenth is the MOD ENV section. Without knowing how to properly set out modulation destinations, your sounds will never compete with the pros! Let’s look at ways to thicken up the mid to high end of our EDM track. 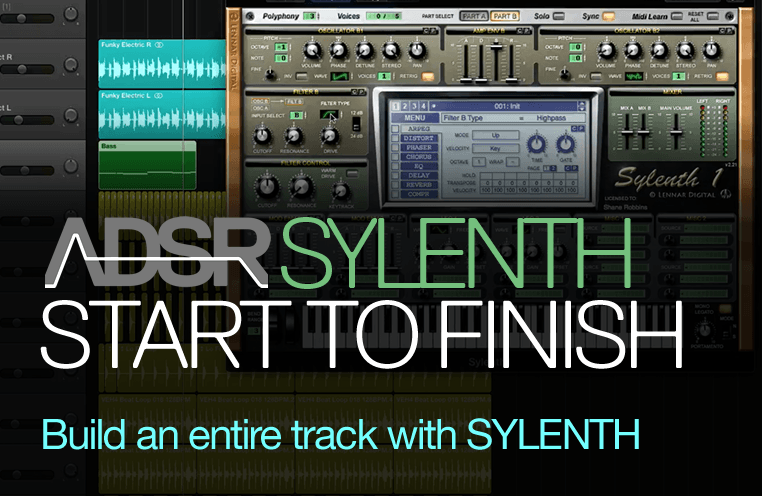 In this case, we use Sylenth to make a modern sounding polyphonic synth patch. In this section, we show you how you can write melodies for drops and how to make a clean sounding House lead. Now that the drop is out of the way, work backwards towards the intro. I will show you some techniques to make an interesting pre drop section mainly using the sounds we’ve already created. Learn how to make a really nice ambient pluck as well as a cool reversing technique that can be applied to any melodic instrument. Learn how to make white noise sweeps in Sylenth as well as how to apply the Rule of 8 to your productions. Learn How To Make and EDM Track from Start to Finish! Dream of making the biggest, boldest, banging EDM track ever to hit a dancefloor? Do you need help getting started? Got a melody in mind but not sure where to go next? This Start to Finish video course shows you – in real time – how to make this happen! Learn exactly what it takes to build an Electro House track with step-by-step instruction, loads of pro tips and plenty of working examples. 12 videos totaling over 2 hours of professional, high-quality guidance right in your own home studio. Play them over and over, as many times as you need to understand the lesson and start making the music you want today!